This blog is named CyclingAffair in a feeble attempt to capture, as succinctly as I know how, my love and passion for bicycling. 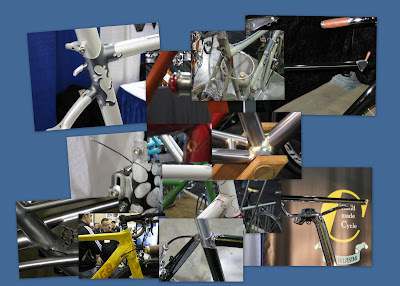 Last month, I attended the North American Handmade Bicycle Show (NAHBS) in Richmond, VA. 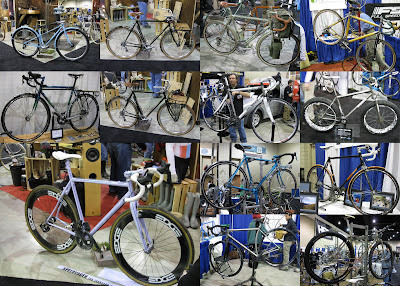 There were some really awesome bikes. Stuff to make a man droll. What really caught my attention though was the passion and love that all of those special, talented builders had for their craft. Sure, you could see that love when you stood back and looked at the bike as a whole. Not only were they functional and efficient machines, but they were truly works of art. Yet, I would maintain that if you truly wanted to capture the essence and depth of the builders passion, you needed to step a little closer and behold the distinct and subtle details. These intricacies did not necessarily add to the form, fit or function of the frame but they embody the love that each builder lavished upon their cherished creations. It's that love that I want to capture in the next few posts.